PLEASE REVIEW THESE TERMS AND CONDITIONS OF USE CAREFULLY PRIOR TO USING THIS WEBSITE. SOBOBA MEDICAL GROUP (“sobobaweightloss.com”) provides this website for the personal, educational and non-commercial use of consumers. By using this website, you acknowledge and accept the following terms and conditions of use (the “Terms and Conditions”). sobobaweightloss.com may revise and update these Terms and Conditions of use from time to time and users are responsible for becoming aware of such changes through the periodic review of these Terms and Conditions. Continued usage of the sobobaweightloss.com website after the posting of any changes to the following Terms and Conditions will be deemed acceptance of the changes on the part of the user. SOBOBA MEDICAL GROUP makes no warranties or representations that the information contained in the website is in every respect accurate or complete, and is not responsible for any errors or omissions or for the results obtained from the use of such. The information available on the sobobaweightloss.com website is not intended as a substitute for or to be used in lieu of professional medical advice. You are encouraged to confirm the information contained here with other sources. Always consult your physician or other qualified health care provider for medical advice and treatment. The creators, distributors, producers, and participants of this website disclaim any liability or loss in connection with the content provided here. In many instances, the information available through sobobaweightloss.com represents the opinions and judgments of the respective information provider. While sobobaweightloss.com makes every effort to provide accurate and reliable information, we neither endorse nor are responsible for the accuracy or reliability of any opinion, advice or statement made on sobobaweightloss.com by anyone other than authorized sobobaweightloss.com employee spokespersons acting in their official capacities. Reliance on any information provided by sobobaweightloss.com, the contributors to its website, or other visitors to the website is solely at your own risk. 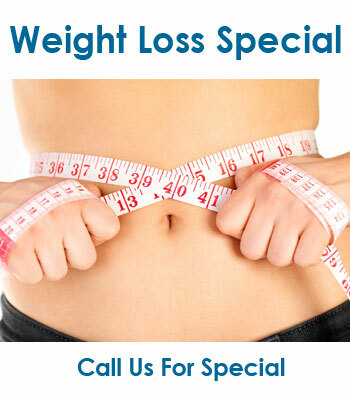 sobobaweightloss.com reserves the right to change or discontinue at any time any aspect or feature of this website. Also note that while sobobaweightloss.com frequently updates its contents, medical information changes rapidly. Therefore, some information may be out of date. The sobobaweightloss.com website and its entire contents, including any and all text, graphics, images, any and all software provided to facilitate the use of the sobobaweightloss.com website, and any and all trademarks, service marks, trade names or other proprietary materials appearing on the website (“Content”) are, as between you and sobobaweightloss.com, the sole and exclusive property of sobobaweightloss.com and no title or other interest in or to the Content shall pass to you or any other user except as expressly provided under these Terms and Conditions. 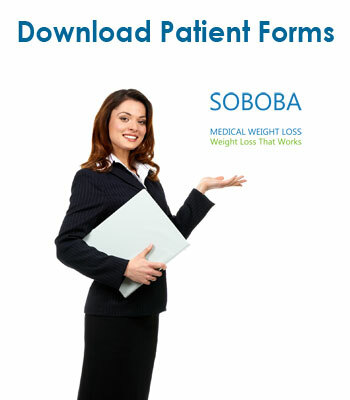 sobobaweightloss.com authorizes you to view, download, and print the material provided for your personal, noncommercial use. Unauthorized use of the Content may violate copyright, trademark, and other laws. None of the Content may be reverse-engineered, disassembled, decompiled, reproduced, transcribed, stored in a retrieval system, translated into any language or computer language, re-transmitted in any form or by any means (electronic, mechanical, photo-reproduction, recordination or otherwise), resold or redistributed without prior written consent of sobobaweightloss.com except that you may print excerpts of the data for personal use only, provided that all copyright and trademark notices accompanying such excerpts are left intact. You may not sell or modify the Content or reproduce, display, publicly perform, distribute or otherwise use the Content in any way for any public or commercial purpose. The use of the Content on any other website or in a networked computer environment for any purpose is prohibited. sobobaweightloss.com reserves the right to limit or revoke your access to this website in its sole discretion, at any time, and for any reason, including, but not limited to, any violation of these Terms and Conditions or in the event of website corruption or other technical difficulties. If you violate any of these Terms and Conditions, your permission to use the Content automatically terminates and you must immediately destroy any copies you have made of any portion of the Content. sobobaweightloss.com assumes no responsibility or liability for any losses, damages or other consequences of any kind resulting from any inability to access the website. THE MATERIAL IN THE SOBOBAWEIGHTLOSS.COM WEBSITE IS PROVIDED “AS IS” AND WITHOUT WARRANTIES OF ANY KIND EITHER EXPRESS OR IMPLIED, INCLUDING BUT NOT LIMITED TO ANY WARRANTIES OF ACCURACY, RELIABILITY, TITLE, MERCHANTABILITY, NON-INFRINGEMENT, FITNESS FOR A PARTICULAR PURPOSE OR ANY OTHER WARRANTY, CONDITION, GUARANTEE OR REPRESENTATION, WHETHER ORAL, IN WRITING OR IN ELECTRONIC FORM. SOBOBAWEIGHTLOSS.COM DOES NOT REPRESENT OR WARRANT THAT ACCESS TO THE SERVICE WILL BE UNINTERRUPTED OR THAT THERE WILL BE NO FAILURES, ERRORS OR OMISSIONS OR LOSS OF TRANSMITTED INFORMATION, OR THAT NO VIRUSES WILL BE TRANSMITTED ON THE SERVICE. SOBOBAWEIGHTLOSS.COM SHALL NOT BE LIABLE TO YOU OR ANY THIRD PARTIES FOR DIRECT, INDIRECT, SPECIAL, CONSEQUENTIAL OR PUNITIVE DAMAGES ALLEGEDLY SUSTAINED ARISING OUT OF YOUR ACCESS TO OR INABILITY TO ACCESS THE SERVICE, INCLUDING FOR VIRUSES ALLEGED TO HAVE BEEN OBTAINED FROM THE SERVICE, YOUR USE OF OR RELIANCE UPON THE SERVICE OR ANY OF THE INFORMATION OR MATERIALS AVAILABLE ON THE SERVICE, REGARDLESS OF THE TYPE OF CLAIM OR THE NATURE OF THE CAUSE OF ACTION, EVEN IF ADVISED OF THE POSSIBILITY OF SUCH DAMAGES. YOU ACKNOWLEDGE THAT IN CONNECTION WITH THE SOBOBAWEIGHTLOSS.COM WEBSITE INFORMATION WILL BE TRANSMITTED OVER NETWORKS, ROUTERS, SERVERS, SWITCHES AND OTHER DEVICES OWNED, MAINTAINED AND/OR SERVICED BY THIRD PARTIES OVER WHICH SOBOBAWEIGHTLOSS.COM HAS NO CONTROL. ACCORDINGLY, SOBOBAWEIGHTLOSS.COM ASSUMES NO LIABILITY FOR OR RELATING TO THE DELAY, FAILURE, INTERRUPTION OR CORRUPTION OF ANY DATA OR OTHER INFORMATION TRANSMITTED IN CONNECTION WITH USE OF THE SOBOBAWEIGHTLOSS.COM WEBSITE.